The Chesil Rectory is a unique and historic restaurant located in Winchester which occupies a 600 year old grade II listed Medieval house of exceptional character and charm. 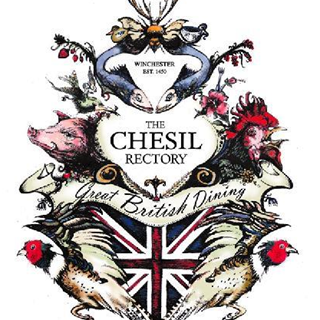 Independently owned since 2008 by a small group of friends who share a passion for food and wine, the Chesil Rectory offers a modern British menu featuring simple, classic, seasonal dishes and an abundance of fresh local produce. Good all round experience. Tasting menu. Lovely flavour food, well paired wines and good service. 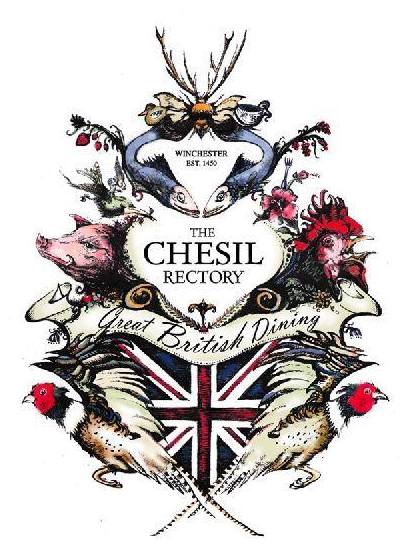 very relaxed evening with delicious food and wine, great gin and tonic, the Chesil special! Great food and wine! Especially the lamb rump cooked perfectly! Only criticism our wine order had to be taken twice, then it was forgotten about, but arrived quickly after asking. It was delicious, might have had two bottles for it arrived sooner. Great lunch though. We thoroughly enjoyed our dinner and the tasting menu was delicious. We could have done with a bit more of the ham hock terrine though! Lovely meal in intimate surroundings and a great host. Perfect for a special occasion. The food is so delicious,  first class ,everything is perfect . We had the tasting menu and would highly recommend. Every course was memorable and delicious. It was the first visit for my family, I had been before and kept promising to take them, they all loved the food and surroundings. Can’t wait to go back! Wonderful food, a special experience, we look forward to coming back soon. Delicious food and wine. Staff were very attentive; a real treat. Amazing meal nothing too much trouble !! I have allergies and they were excellent at making alternatives. The whole occasion was perfect from start to finish. The reception was very friendly as was the service throughout. The food was excellent, plenty of choices served at a perfect pace hot and delicious. The atmosphere was comfortable and easily able to converse which is not always the case in modern establishments. The lunch set looks great value, but unfortunately the price is reflected in the ingredients. My main course pollock was 80% new potatoes, and a few flakes of fish. Likewise my lunch guest was similarly disappointed in his Turkey schnitzel with "Fried Hen's egg"  - otherwise known as a fried egg. Presentation looks good, but it needs the food to deliver. Wine was great, environment and service were spot on. Happy to pay more for better food. Lovely food in a gorgeous setting. A very relaxed evening. Excellent food and service. A great meal at The Chesil Rectory. The food was top class, absolutely delicious. Service was excellent and all the staff were very friendly and happy to accommodate our needs.